Who would believe that such great natural and cultural contrast could be contained in such a small country? 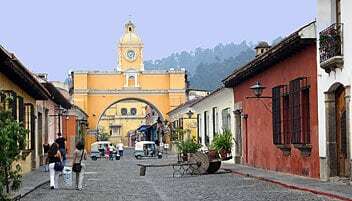 Guatemala, with perhaps the most friendly people in Latin America, is the perfect place to visit if you want to escape crowds of tourists – on the international circuit, almost an undiscovered paradise! Mayan ruins hidden deep in the jungle, beautiful colonial cities like magical Antigua, Chichicastenango market with its unique handicrafts, small villages little touched by time and hotels that were once old monasteries, lakes, mountains, volcanoes- and that’s just to name a few! With so much on offer, how do you know where to begin? 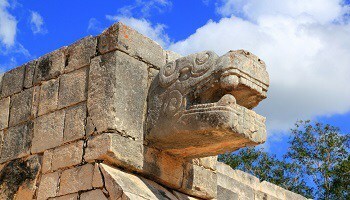 At South America Travel Centre our team of experts have collectively travelled to Guatemala many times and know the best way to see this culturally and naturally diverse country. You will travel at your own time and pace accompanied by private guides and transfers. Our attention to detail is what helps us make your holidays extraordinary. 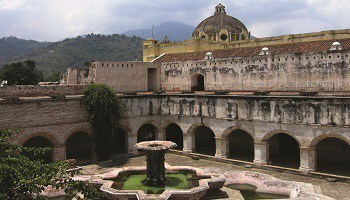 One of the best-preserved colonial cities in Central America, the city of Antigua was once the third most important Spanish colony in the Americas. Set in a beautiful location overlooked by three soaring volcanoes, it is the epitome of colonial splendour with some of the region’s most architecturally intact churches, houses and plazas. Antigua is also noted for its beautiful crafts including ceramics, wood- and stone-carvings, silver jewellery and a variety of traditional weavings and costumes. 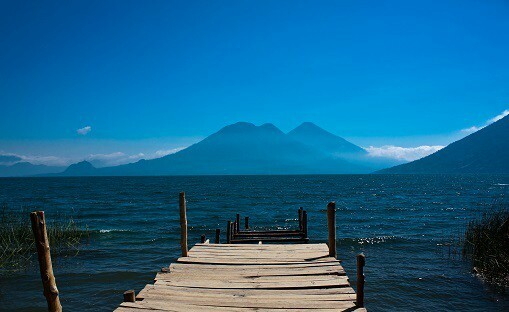 Lake Atitlán and its villages are a wonderful combination of scenic beauty, a relaxed atmosphere, easily accessible Mayan culture, and a good tourist infrastructure. Atitlan Lake is situated at an altitude of 1,560 metres with Tolimán volcano (3,158 metres), forming a very powerful back-drop. It is ringed by small towns, Panajachel is best known and well worth a visit. Lake Atitlan, a spectacular crater lake dominated by towering volcanoes and surrounded by forested slopes and volcanoes, is believed to be the most beautiful lake in all of the Americas. 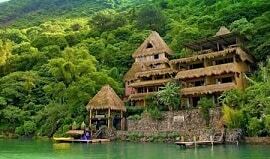 Lakeside and hillside settlements, such as Panajachel and Chichicastenango, are very colourful with lively Indian markets and are rich in Mayan culture. f great rejoicing from the people. 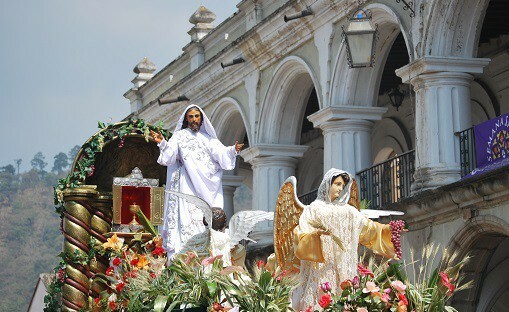 During ‘Holy Week’, Antigua hosts the most beautiful religious celebration in all of Central America – perhaps in the world – when huge and elaborate processions wind through the city’s main streets. The celebrations actually begin on Ash Wednesday, the first day of Lent, and continue through until Easter Sunday; perhaps the climax is Good Friday, when Antigua’s streets are thronged with thousands of participants and reverent spectators. The processions include massive floats (andas), bearing statues of Christ with a cross, that are carried by hundreds of purple-robed men. The processions move slowly through the cobblestone streets, the feet of the bearers cushioned by the alfombras (sawdust-and-flower carpets) which are destroyed as the procession passes over. Visiting Antigua during Lent and Holy Week will present you with an extraordinary spiritually-rewarding experience you will never forget. 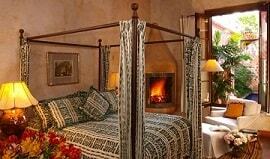 El Convento Boutique Hotel welcomes visitors to an oasis of stunning elegance and unparalleled comfort. creating an intoxicating blend of traditional simplicity and modern convenience. 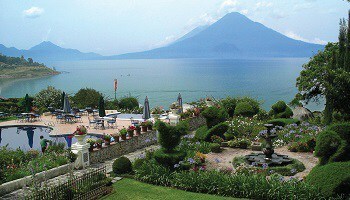 The Laguna Lodge is on the lakeshore of the legendary Lake Atitlan and exclusively nestled in its own nature reserve. Entry into this Mayan world begins by boat. The hotel commands sweeping views over azure waters to a trio of dramatic volcanoes. Inspired by nature and created from volcanic stone, adobe and palm spacious lakeside suites are individually appointed with comfortable hand hewn king beds, fine linens, intricate woven textiles and indigenous antiques. 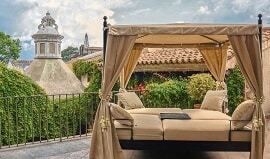 Posada del Angel is traditional and elegant: each of the seven rooms is unique and has been designed with a color palette inspired by the famous wall textures all over La Antigua. Beds are covered with Mayan textiles made on backstap looms using the finest cottons and traditional indigenous techniques. 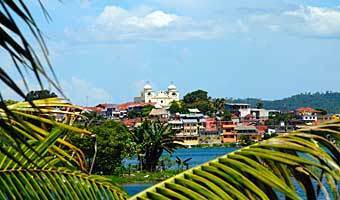 Guatemala can have a pleasant climate throughout the whole year. 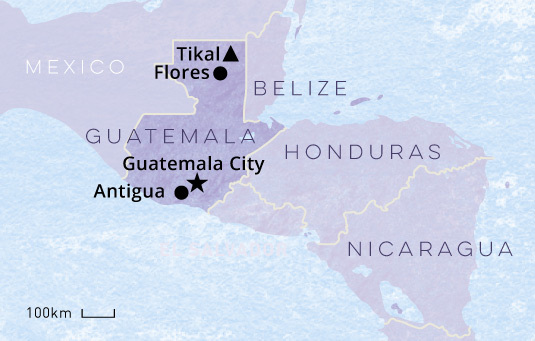 However some people consider the best time to travel to Guatemala is during their winter which is mid-December to late March, the driest time of year. 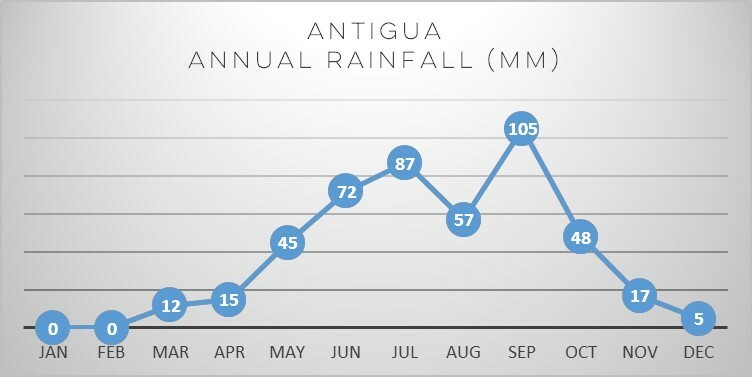 Summer- April-November is the rainy season, with a risk of hurricanes June-November. Rain characteristically only falls for a couple of hours a day.